As much as we love camping, we are not cold weather campers. I will confess that my husband does dabble in the insanity of winter tent camping, but the rest of the family prefers the warmth of a bed. So, how does our family get our camping fix in the middle of winter? Well, we stay in cabins – camping cabins! What exactly are camping cabins? 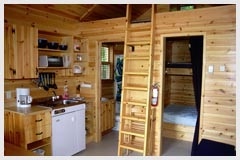 Well, to us, camping cabins are tiny cabins that are minimalistic. They do not provide larger than life luxuries that are typically associated to “cabin” renting. They are simplistic. a loft with 2 simple beds. These rustic cabins are the perfect starting point for a great camping vacation. Last year we were fortunate enough to make it up to the cabins twice. The first time my husband and I went for a relaxing weekend getaway. We were able to cozy up by the propane fireplace, walk through the picturesque trails and tour the near by towns. The inside of the cabin. The second trip was with our kids and my sister-in-law and her wonderful family, during March Break. We had an amazing time at the cabin. We enjoyed walking in the trails, tobogganing and sitting by a fire. We also had a blast tubing at nearby Mont Availa. The girls are being crafty at the kitchen table. Don’t mind the hair cuts – they played hairdresser a few weeks before we went away. My husband is cooking up a storm. Prepping the fire pit area. Winter camp fire at the cabin. Enjoying a ride on the ski lift. One section of the tubbing hill. I really hope that we are able to make it up to Morin Heights Nature Camping and Cabins again this year. The kids keep reminiscing about it and we all have the camping itch right now. Well, where else can you cabin camp? The following is a list of camping cabins that have peaked our interest. (Please note that some of the links do not offer winter rentals and are only open seasonally.) Perhaps one day we will be able to say that we have visited them all. 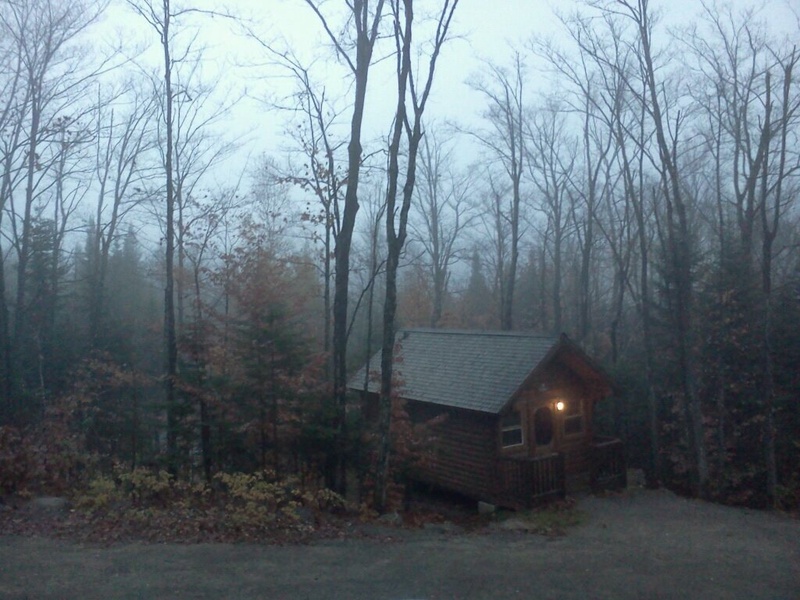 Have you ever stayed in a camping cabin? If so, please share your experience with us. I love to receive vacation suggestions. This entry was posted in Camping Tips & Tricks and tagged Cabin, Family, Fire, How-To, Mont Availa, Morin Heights, Morin Heights Nature Camping and Cabins, Quebec, Snow, Travel, Tubbing, Winter, Winter Camping. Bookmark the permalink. I have not gone cabin camping, but this post is giving me the itch! I love the idea of minimalist cabins – something cozy and simple. This is something I’ll have to plan for the fall after I do my fill of summer tent camping. We bought a Bigfoot slide in camper for our big F350 pickup back in 2002 and traveled around BC and Alberta during the winter months in comfort. The Bigfoots are all fiberglass construction with heavy insulation for winter camping, and are designed for winter camping. 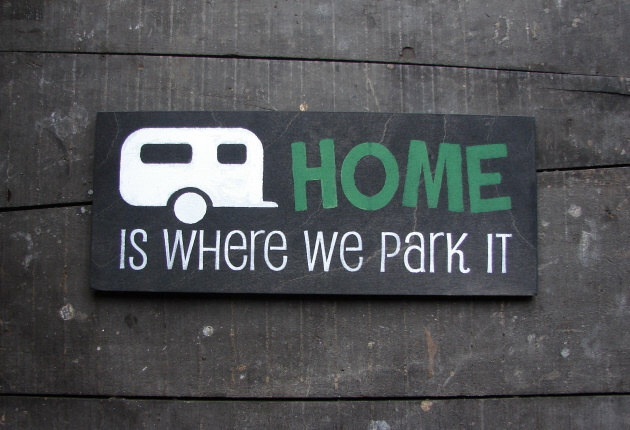 They definitely are not like your grandpa’s old truck campers, with a full shower in the bathroom, and a dinette and kitchen that has everything that most travel trailers have. Bigfoot also has a line of trailers and motorhomes.